Ideal for meeting halls or larger apartments,homes and offices up to 3000 sq. ft. Biozone Air purifiers are unlike any other air purifier available. They clean the air of smoke and biological contaminants like bacteria, viruses, and mold, destroy hazardous fumes, remove harmful particulates, and neutralizes all unpleasant odors. Keep your environment smoke & odor free. Backed by a 1 year warranty and money back guarantee. Output Control :3-position output control for adjusting to pollutant levels and available space. 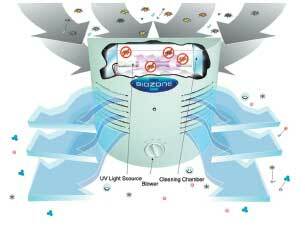 The (Biozone 3000) BZ3000 Meeting Hall Air Purifier is great for meeting halls, large homes, restaurants, bars, veterinary offices and large open offices. Biozone standard air purifiers are compact, powerful units that can significantly reduce pollutants and contaminants in homes and offices. Given a 1,500 to 2,000 sq. ft. of area in a single-level home with one indoor smoker. 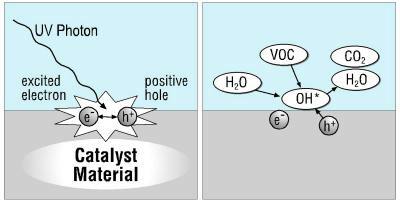 Multiply the 1,500-2,000 by the contaminate factor of 2 to get 3,000 to 4,000 sq. ft. Depending on the layout of the house (consider the larger open spaces and overall air flow, the number of rooms) you can either purchase two stand alone Models of a 1000 and a 2000 unit (3,000 sq. ft. total), or a single stand alone Model 3000.